Hello beautiful people. In this blog post I wanted to share something that’s has been very beneficial to me in the last few years. This will not be new to many of you as it is something that has become very popular recently. Even so, it is one of the things that has had the biggest impact on my life and on me being able to achieve my goals, so for that reason I felt that a blog post on this would be super beneficial to you. What I’m talking about is affirmations. Affirmations are short statements that you repeat to yourself of whatever empowering belief that you want to actualize through yourself in your life. Through these affirmations you will be able to take control of your life and create the life that you want for yourself. If there is anything that you want in your life whether it be more money, a better relationship, more peace of mind, or more confidence. 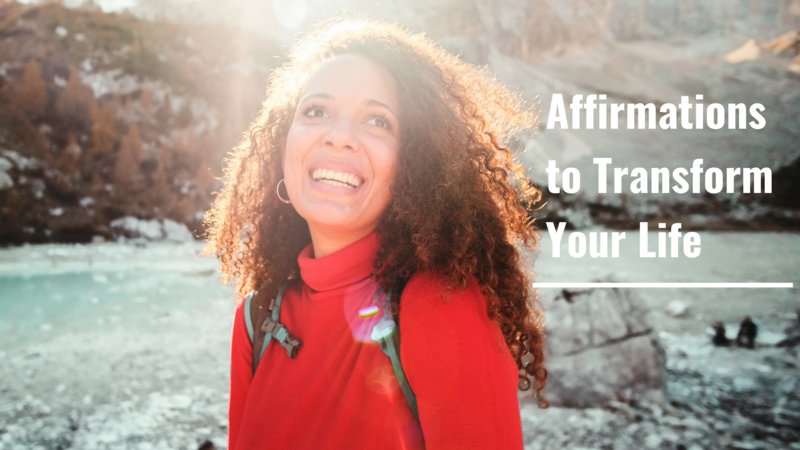 For anything that you think would be beneficial to you as you journey on this life, affirmations are a powerful tool to create the belief and therefore the action that you need to take to bring about those results. I selected three affirmations that I think are great and that would be useful for just about anybody. I invite you to test these affirmations for the next 30 days. If you want you can use all 3 affirmations each day. Repeat each of them 5 times every morning , OR you can choose one affirmation for the next 30 days. Choose from one of these Magical Notebooks below and get started with a new phase of your life. Make a note of the changes you see every day during your affirmations. I find it useful to do the affirmations very early in the morning before I start getting “busy” with my day. And you have to say it with BELIEF and really let the words that you are saying sink into your being and imagine yourself as a new person. Leave a comment and let me know which affirmations you will be using or if you will use all of them for the next thirty days. If you want even MORE LIFE CHANGING AFFIRMATIONS, check out this website for a full list : Affirmations for Success. Join my facebook group to give us an update when you use the affirmations and let us know how it helped you !